Allow for coordination between healthcare teams. Platforms include Avedis Enterprise and MedConcert, among others. Premier uses market analysis, performance reporting and data analytics to raise standards of treatment and improve quality of care. As the U.S. healthcare system moves toward value-based models, healthcare metrics, data analytics and performance improvement are more important than ever. As the U.S. healthcare system moves toward value-based models, healthcare metrics, data analytics and performance improvement are more important than ever. 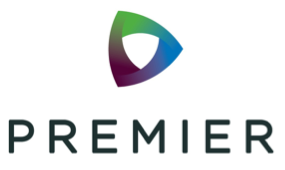 Premier provides cloud-based service platforms to allow healthcare organizations to track, manage, report and improve performance in real-time. Premier serves over 5,000 medical practices and 1.2 million healthcare professionals to support the care of over 50 million patients. While Premier’s platform has many different capabilities, the most relevant for Healthcare Teams of the Future are outlined below. 1) Premier’s performance management and improvement software helps organizations engage providers, simplify reporting for value-based payment and ultimately improve quality of care and population health. On the individual level, it gives providers real-time actionable data on patient-level gaps in care. For example, it reports the percent of total patients with HbA1c levels greater than 9 percent, identifies patient outliers to help close care gaps and suggests improvements in real time. The capability can help improve provider engagement by displaying performance trends, peer-to-peer provider comparisons and quality reporting results. It is also the first cloud capability to support performance measurement across complex healthcare delivery systems (e.g. ACOs, multiple payer delivery systems) by aggregating provider-level metrics so data can be analyzed by hospitals, networks and states. Finally, it’s performance data collection and analysis can be used for quality reporting to help organizations’ participation in value-based payment models. Networks: The social network aspect of the software allows for community building among healthcare professionals and between patients and clinicians, in public and private. Organizations can share and learn from other teams and departments. Secure, private communications can be used to coordinate the care of a patient across multiple physicians. Performance: The system tracks personal performance metrics and can compare individual performance to peers and national quality benchmarks. Incentivizing Improvements: Gaps in performance are linked with suggestions for improvement and more efficient investments. Feedback and suggestions for how to improve quality and close performance gaps can also be crowd-sourced from the community. As Premier summarized healthcare reform, “Value is the new economy. Measurement is the new currency.” In the new age of health information technology and value-based payments, platforms such as Avedis Enterprise and Medconcert can be valuable in tracking large amounts of data on health metrics, and more importantly can be used to drive performance improvement across individual providers, health care practices, and systems. “What We Do,” Premier, n.d., http://info.cecity.com/index.html.